If you always lose your sewing up needle, here is a handy wallet containing a delightful collection of needles especially designed for the use in knitting and crochet. 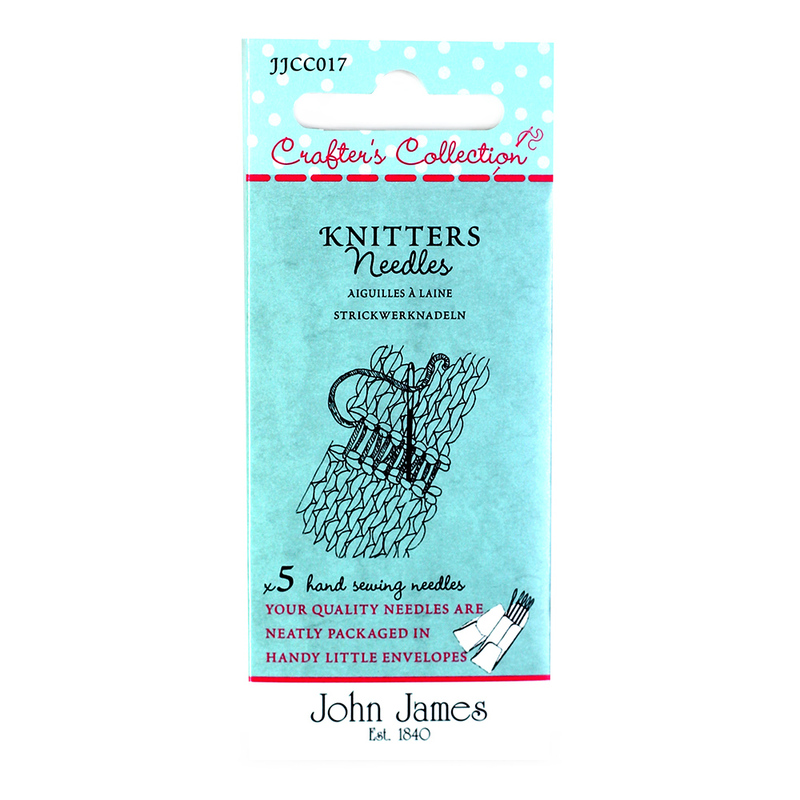 All your needle needs are in this one pack, a total of 5 needles, more than twice the number of needles than in a standard pack means you will never be at a loss again. From baby yarn to double knitting, from Aran to chunky and to fashion yarns all are taken care of in this unique needle combination.